The telecommunications industry was changed forever by the designing and creation of VoIP technology. That is the view of Rob Lith, director of Connection Telecom, who explained a number of “dramatic and irreversible” alterations have been made to the market as a direct result of the solution arriving on the scene, reports IT Web. 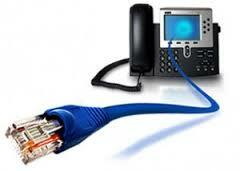 He noted VoIP technology dates back as far as 1974, when internet protocol (IP) initially made its debut. This eliminated the need for costly voice and data networks and allowed conversations to be held on converged networks. Of course, there have been many changes to VoIP itself in the years since it was first used by businesses and homeowners, but the principle remains the same. The arrival of the system forced telecommunications companies to think about its implementation and infrastructure is being revamped. A new generation of VoIP providers has been made possible by market liberalization and the hard work of many firms. Another encouraging trend is the arrival of a range of new applications that “keep cropping up”, according to Mr Lith. These are sure to have a positive impact on the market and could continue to make VoIP even easier to use and more beneficial to companies. He went on to explain IP “continues to break new ground in the unified communications arena”, which is sure to be welcomed by all those who want to invest in the very best technology on the market. Mr Lith said the opportunities that could be opened up as a result are “limitless” or, perhaps more accurately, limited only by the imaginations of the developers and designers behind the applications and products that are made available.